“What a show!” as they say around these parts. 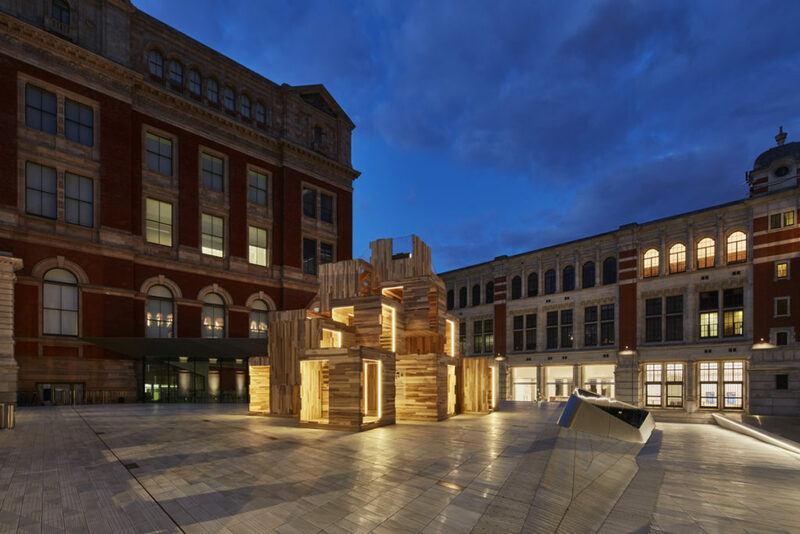 The Victoria&Albert Museum has pulled out all the stops of London Design Festival 2018, marking its tenth participation in the event with a carefully calibrated mix of innovation and imagination. It all kicks off at the entrance, in Sackler Courtyard, where waiting to welcome and delight visitors is MultiPly. 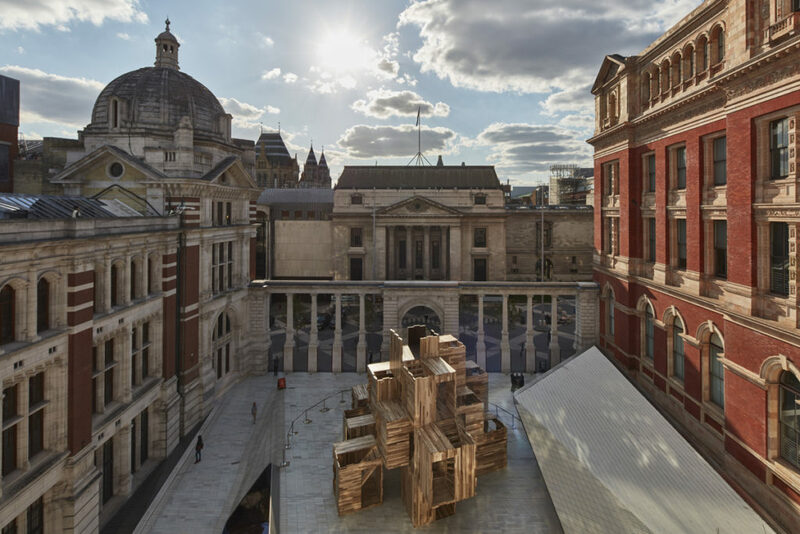 Open until 1 October, the huge, multi-storey maze is made from layered American tulipwood stands nine metres tall. 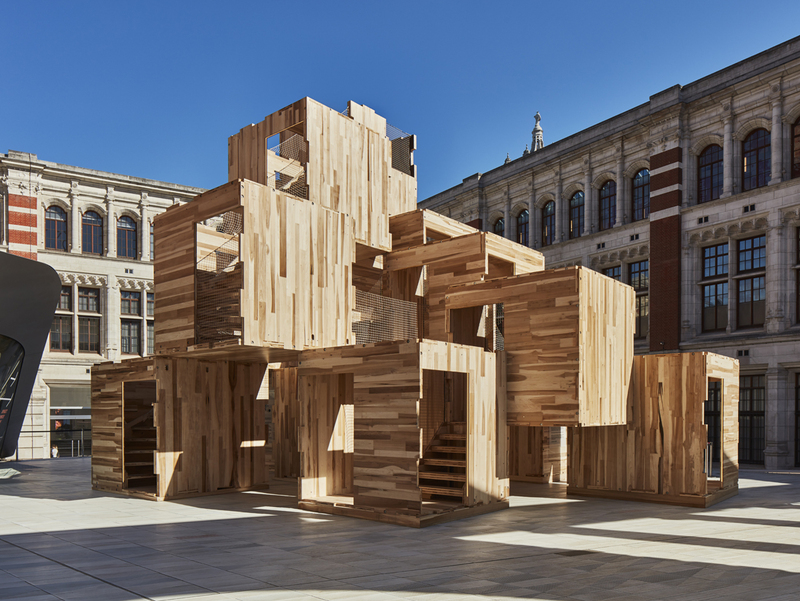 This modular structure is the product of a collaboration between the American Hardwood Export Council, Waugh Thistleton Architects and Arup, comprising a series of interconnected spaces which interlink and overlap, with stairs, corridors and open spaces ready to be explored by curious visitors. The installation encourages visitors to reflect on the way we design and build our homes and cities while tackling two of the greatest challenges facing contemporary society: the huge demand for more housing and the urgent need for us to fight climate change. MultiPly’s solution is to combine modular systems with sustainable construction materials. There are plenty more installations inside the V&A. Don’t miss The art of music in the digital age by Anglo-American songwriter, musician and innovator Beatie Wolfe, who was recently named as one of the 22 most influential people in the world by Wired magazine. Bright display cases showcase her visionary projects, including the first wearable music album: a woven silk jacket designed according to the geometric structure of the music through coded audio technology. To listen to the songs, all you need to do is move your mobile phone near to the fabric. On the fourth floor, Dazzle by Pentagram is a room covered in overlapping writing to create an abstract design, channelling the black-and-white camouflage devised by Norman Wilkinson for American ships during the First World War, where the intersecting geometric shapes were used to confuse enemies. Pentagram reinvents the design, moving it from a purely graphic dimension to an exploration of typography, using the letters and words of Wilfrid Wilson Gibson’s poem Suspense. Waiting in the gardens of the museum is Michael Anastassiades’ A fountain for London. Equipped with sensors, the foundation is a sculptural, monolithic, elegant and discrete creation designed to encourage people to drink tap water rather than buying bottled water and thus contributing to pollution. The V&A will also host the Global Design Forum, which has a packed schedule of debates, talks with over 50 speakers, workshops and events asking us to reflect on how we live in today’s world and how we will live in the future as a result of design, innovation and technology. 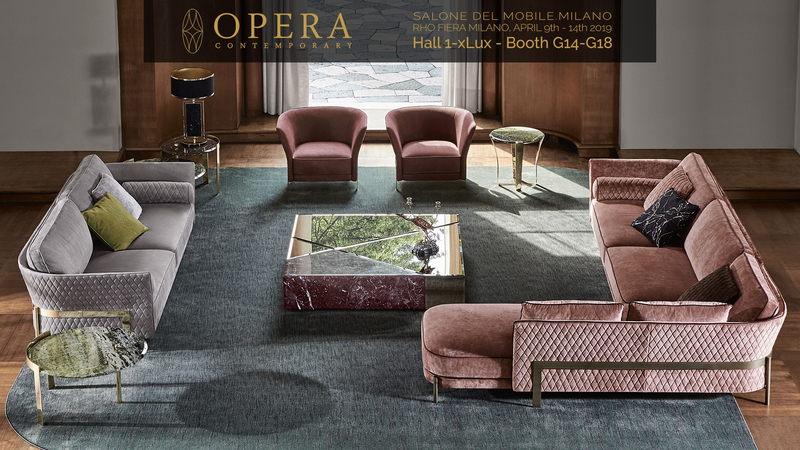 Find the full schedule on globaldesignforum.com.